Bajo Sexto Taco is located inside the Country Music Hall of Fame® and Museum, steps from the Bridgestone Arena and Convention Center in the heart of downtown Nashville. Spanish for “sixth bass,” a bajo sexto is the largest guitar used in a Mariachi band and a playful riff on the restaurant’s location. The taqueria offers a quick-service menu of Mexican cuisine, including tacos, hand-made tortillas, and authentic specialties. 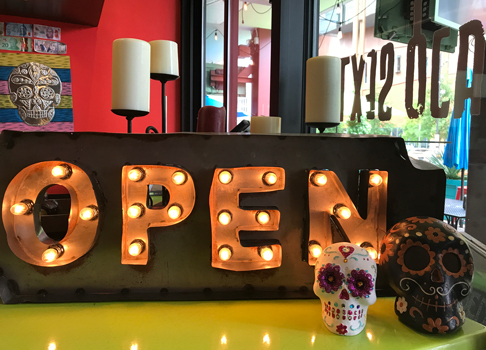 Bajo Sexto Taco is open late on Fridays and Saturdays, and offers a full bar, including hand-crafted margaritas, that can be enjoyed in the dining room, on the al fresco patio or while walking around the downtown campus. Guests can order online for pick-up or delivery.